Did you know that red foods are full of important antioxidants and vitamins that are great for the heart? 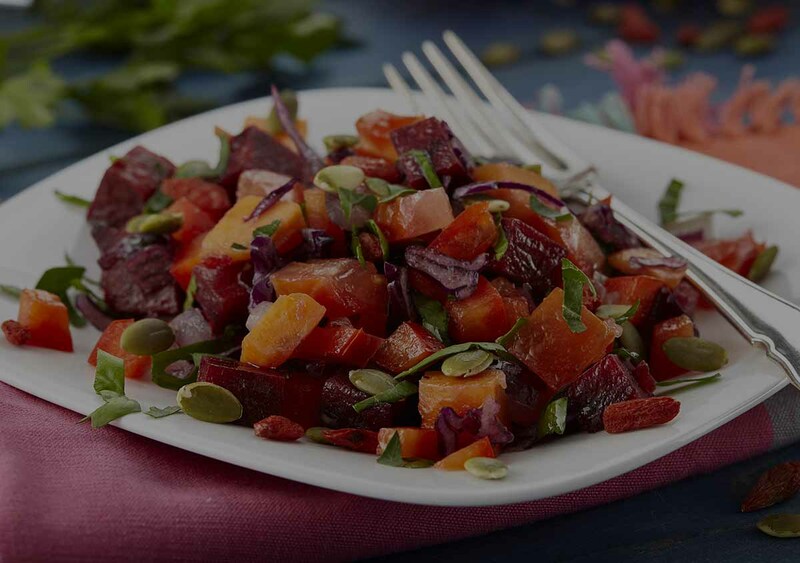 Consequently, our Raw Beetroot Salad is full of them with lots of raw beetroot, red cabbage, cherry tomatoes, red peppers, red onions and goji berries. In addition, we love to top it with raw pumpkin seeds that will help keep your heart pumping strong! In the past, our beetroots were cubed but now they’re julienned and easier to eat! 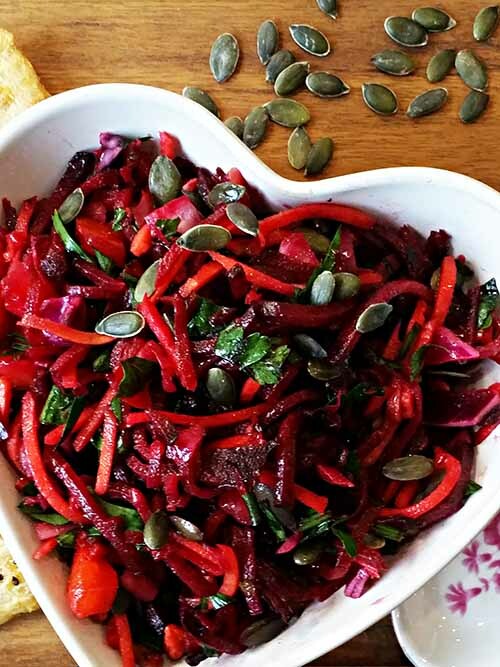 Raw beetroot 19%, red cabbage, cherry tomatoes, red peppers, carrots, red onions, parsley, olive oil, organic lemon juice, sea salt, black pepper, pumpkin seeds, goji berries.